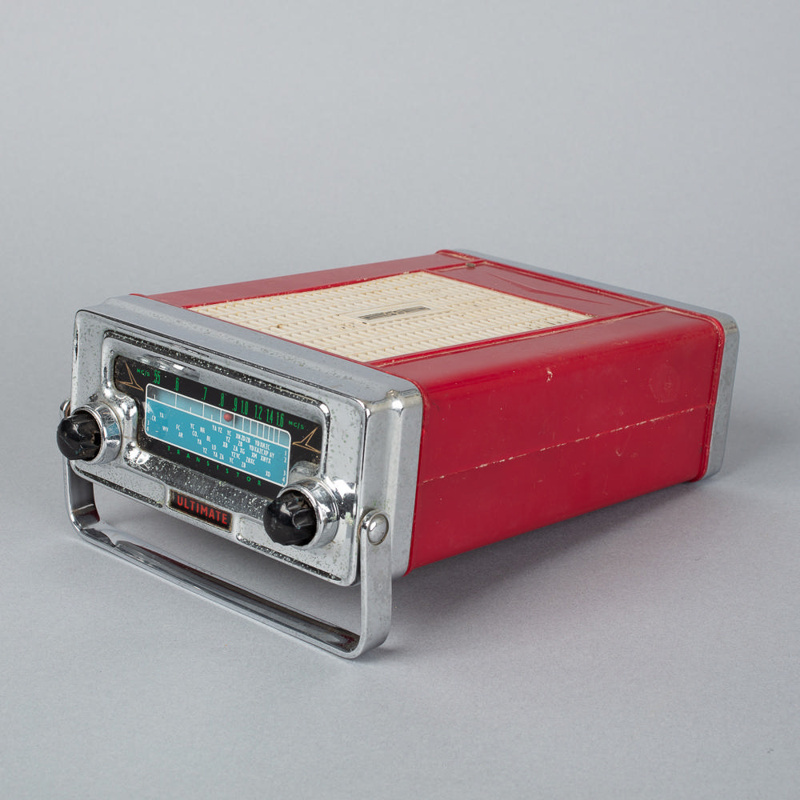 This is an Ultimate Portable radio. 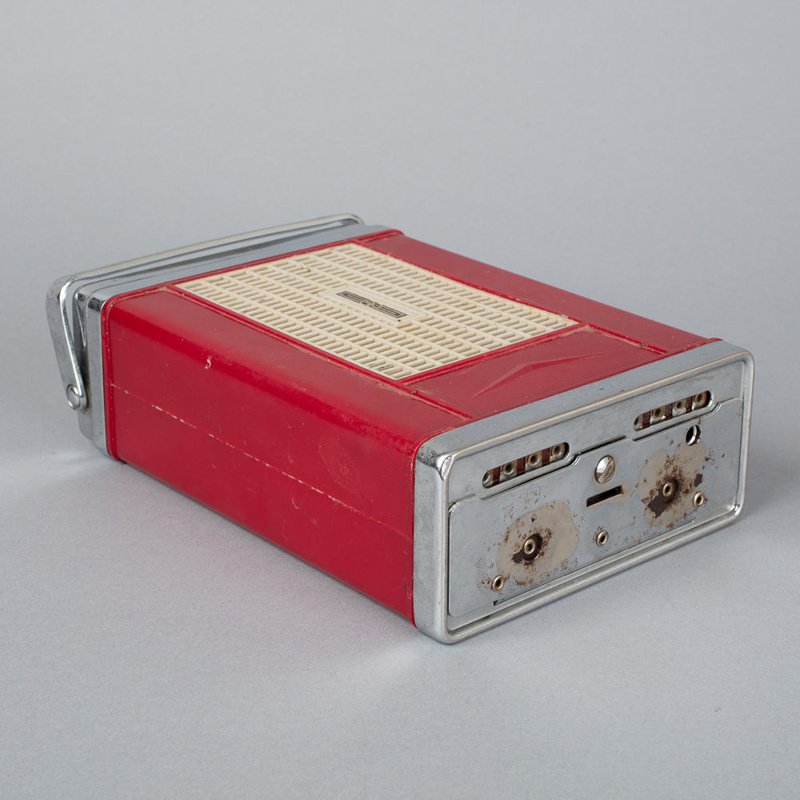 These radios were made in New Zealand from 1959 and could be installed into cars. On front underneath the face 'ULTIMATE'.